Home/Celebrities, Hair Thickener, Uncategorised/Is Wayne Rooney using Hair Loss Concealers? The answer to this question is really no secret. Rooney has come forth openly about having no less than two hair transplants that reportedly cost about £30,000 (AUD $52,000) to combat male pattern baldness. However, there are days when his hair looks noticeably thicker and other times not. The real question on everyone’s lips – Why the change in thickness? One media outlet suggested that the ‘before’ and ‘after’ shots of Wayne Rooney at the start of the Iceland match and then leaving his hotel the next day might be hair loss caused by stress. That couldn’t be further from the truth, it is no more than another stupid news story trying to get clicks for advertisers. It really shows a lot of ignorance about hair loss. Hair loss caused by stress, known as Telogen Effluvium or diffuse hair loss, though it can be rapid, usually doesn’t occur overnight in such extreme ways. At worst such hair loss takes several days to occur, not overnight. Usually it happens over a number of weeks. Furthermore, it doesn’t take into account why it was suddenly thicker only hours later. 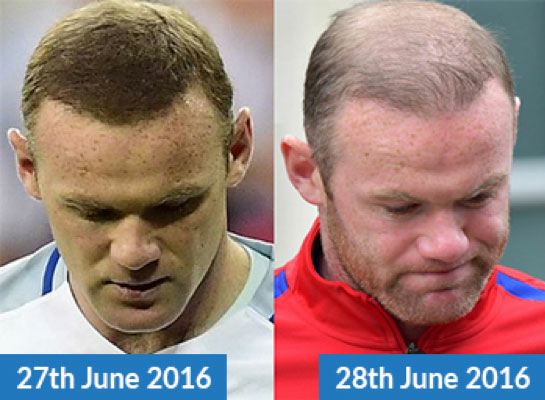 Rooney’s suddenly-thinner (and suddenly thicker) hair occupied several media outlets, with a number of theories emerging, along with many pictures showing his scalp clearly visible through his wispy hair. It seems it has kept the media guessing about what he has done, which we are sure puts a wry smile on Rooney’s face. Wispy and thin hair, like Rooney, is not uncommon with hair transplants. The success of a hair transplant depends on the amount of ‘donor’ hair you have. Some people are excellent candidates for a hair transplant and others are not. We estimate that only a third of those people interested in having a hair transplant are actually good candidates. The chief reason someone may not be a suitable candidate is that they don’t have sufficient or suitable donor hair. Allow us to explain. The number of hairs on your head is fixed. You are only given a specific number of hairs on your head. No more and no less. It doesn’t multiply when transplanted or extracted, it won’t naturally repopulate the hair from where you sourced the hair for the transplant. That is why it is called ‘donor’ hair. Much like a kidney transplant, the donor doesn’t grow a new kidney to replace the ‘donor’ kidney they have just given away – now the permanently have one kidney instead of two. In the case of ‘donor’ hair with a hair transplant, you are simply moving hair (the donor hair) from one location to another. From an area of thicker hair to an area of thinner hair (or baldness). There is no net gain in the number of hairs. There is NO NET GAIN in hair (repetition for emphasis, it wasn’t a typo). Just a redistribution of hair strands. It is like the Robin Hood economics of hair, you take from the rich areas of hair to give to the poorer/ thinner areas. In most cases this ‘donor’ hair is from the back of your head. If you don’t have an ample supply of good quality hair from this region, you may not have enough hair to make the area of transplantation look thick and full the way that you would like. In saying that, some people will have an amazing result with a hair transplant. They had the correct number of hair and the correct quality of hair. But many will want to have a little extra help, like Rooney, to make their hair look like they are young again. Thick, full hair can be attained with a little extra, inexpensive and easy to use cosmetic help such as BioTHIK hair fibres. If your hair transplant hasn’t yielded thick luscious hair, like Rooney who is rumoured to be considering a third hair restoration procedure in the vertex (crown) region, you’ll need a little extra help. BioTHIK hair fibres is scientifically proven to be one of the best on the market. We prefer to call it a hair thickening product because that is what it does, it makes your hair look instantly thicker! Usually surgery is used to ‘top up’ hairs and improve the density in a particular area – such as filling in a thinning crow or boosting around the hairline – it is rarely used to replace all the hairs on the top of the head. This is partly due to the amount of donor hair needed to complete such an operation (it is mathematically impossible to replace all the hair), but time and cost are also important factors. 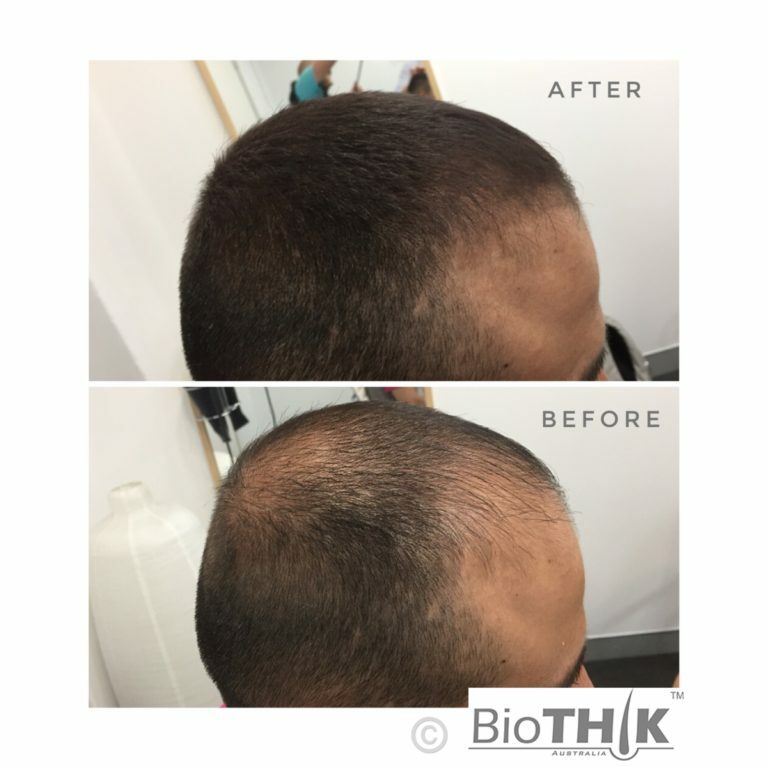 Therefore, in order to maximise the overall result of the hair transplant doctors will advise their clients to hair a hair thickening product such as Biothik Hair Fibres. Male pattern baldness is a genetic hair loss condition that affects many millions of men in Australia and around the world and there are many roads to thicker hair. Sometimes the answer is a hair transplant, but sometimes a hair transplant is not enough. Male Pattern Baldness strikes a surprising number of men in their 20s (Rooney, now 30, has been thinning since his late teens), and given that people with the condition frequently describe it as emasculating and emotionally damaging, there is little surprise that Rooney wanted to do everything he could to reverse and potentially conceal the problem. Another reason many men choose a non-invasive hair loss treatment course of action over a transplant, however, as the results appear more slowly, thus making any change in appearance less shocking or obvious. Hence the popularity of Laser hair therapy, stem cell based hair loss treatments and pharmaceutical drugs. Why the change in Rooney’s hair thickness? He is most likely using hair loss concealing fibres, such as BioTHIK. They are a proven and effective hair thickening product for men with thinning hair. Possibly the most effective hair thickening product available in the world today. They are able to make your hair look up to 150% thicker instantly, even on very thin and fine hair. It is remarkable how few hairs it needs to be effective. You can see the photos we have added on this post as an example. It’s like a 30 second hair transplant! 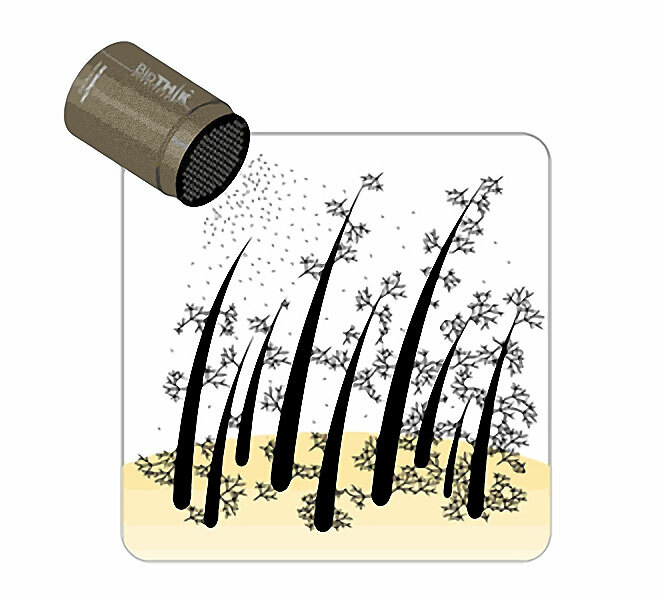 Microscopic Keratin Hair Fibres instantly make your hair look full and thick! The reason BioTHIK hair fibres are so effective because it’s like adding thousands of hair stands into your own hair. It’s like hair transplant, but on a grand scale. Thousands upon thousands of Nano sized hair-like keratin fibres attaching themselves to your own hair strands, making each one instantly thicker. Keratin is the same substance your hair is made from so they blend and integrate with your own hair perfectly. It’s like three to four hair transplant procedures in a bottle after one 30 second application! 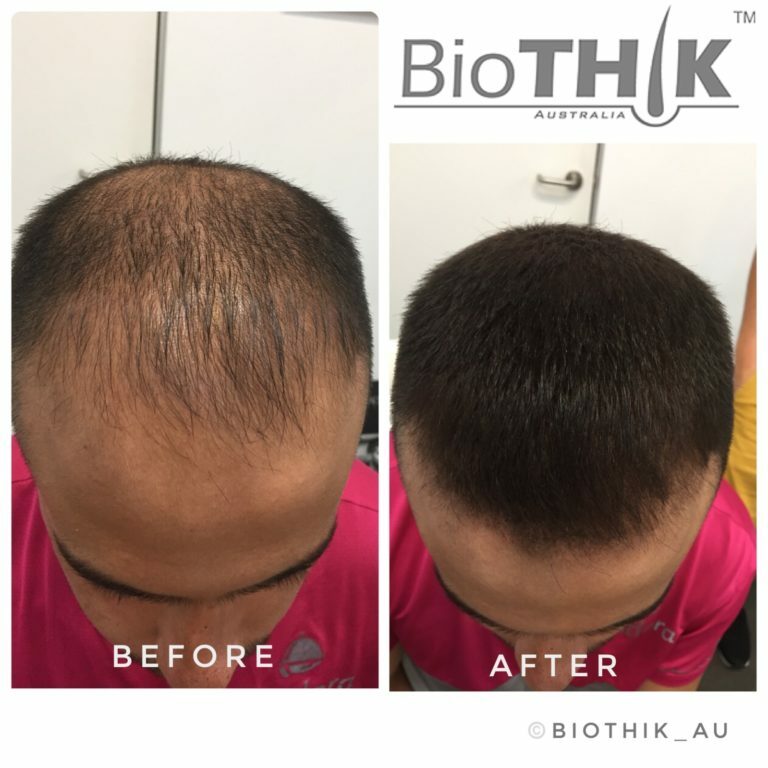 Hair Loss Concealers, such as BioTHIK hair fibres, can be used as either a temporary or permanent solution for thickening up the results of a hair transplant. Sometimes as the newly transplanted hair is ‘growing in’ the concealing fibres will create an immediate appearance of thicker hair, extra density and hair health. It will also conceal the redness of the scalp from the hair restoration procedure. If, however, the newly transplanted hair is not thick enough once it has fully grown in (some 9 months later – if you want it to grow back quicker we recommend using a Hairmax laserband 82, we have found them to help halve the hair regrowth time), it can continue to be used to improve the look of the hair. It is quite a brilliant cosmetic product! Join with Wayne Rooney and thousands of other active and athletic men and women who trust hair loss concealers like BioTHIK fibres to make your hair look thicker during heavy exercise on in the middle of a corporate boardroom meeting. BioTHIK hair fibres are scientifically proven to have the strongest electrostatic charge of all the leading hair fibre brands, this means that they won’t come out of your hair. Even when scoring a goal for England! (or just doing regular stuff!). Buy yourself a value pack today!